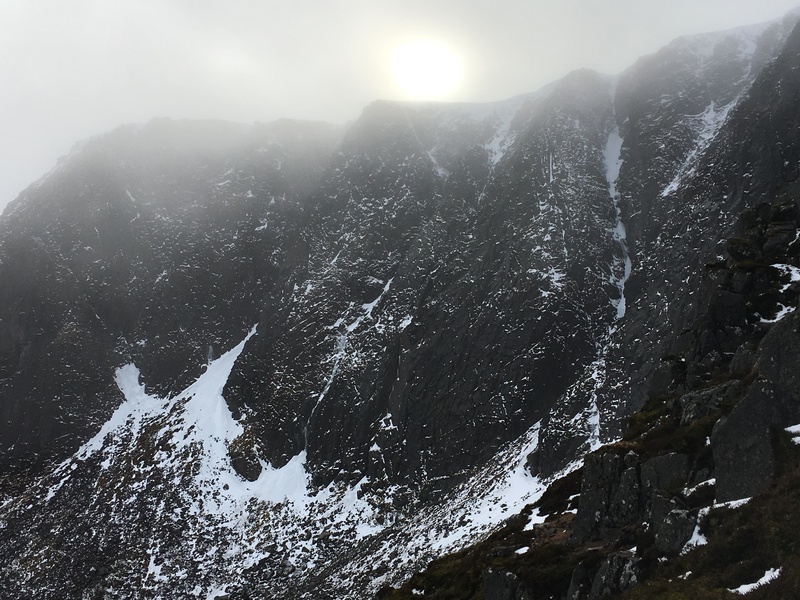 SAIS Southern Cairngorms Blog » Slip Slidin’ Away…. Slippy wet heather roots, slippy wet vegetation, slippy wet rocks, slippy wet snow and slippy thawing ice – Yep you’ve got it – There was an ongoing theme to the mountain observations today – It was a relief to get to the point where the crampons had to go on as various parts of my anatomy had made varying degrees of painful contact with all of the above mentioned mediums… Look on the bright side though – it was only light rain and not the heavy persistent precipitation the West has been receiving! All change again tonight as the freezing level lowers and precipitation reverts to snow. 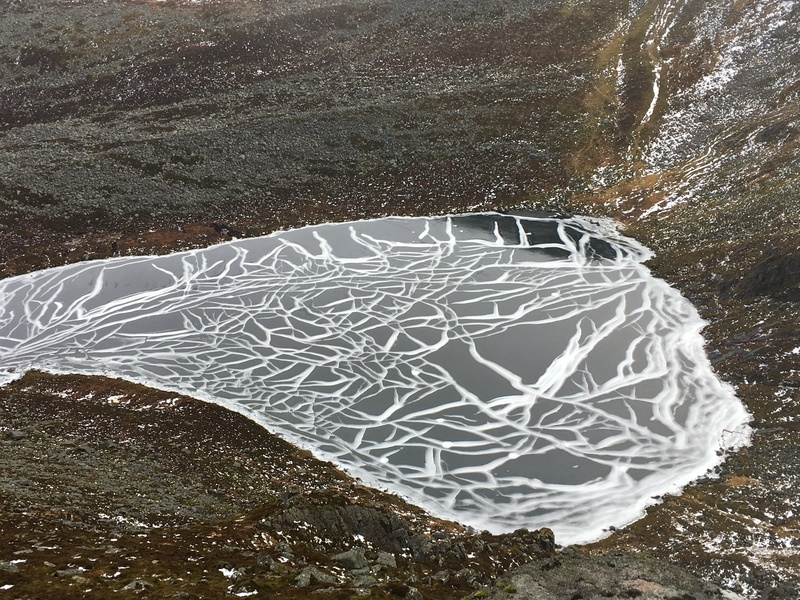 It is worth noting that our area specific weather forecast was for light to moderate snowfall but our near neighbour Northern Cairngorms has been forecast much heavier snow. Obviously our areas merge in the middle and although we have written our stability forecast based on the weather forecast given, we expect that the mountains in the northern part of our area will receive similar snow amounts to those in Northern Cairngorms proper – So please read both forecasts to give yourselves a good idea of what to expect. So what are we getting? 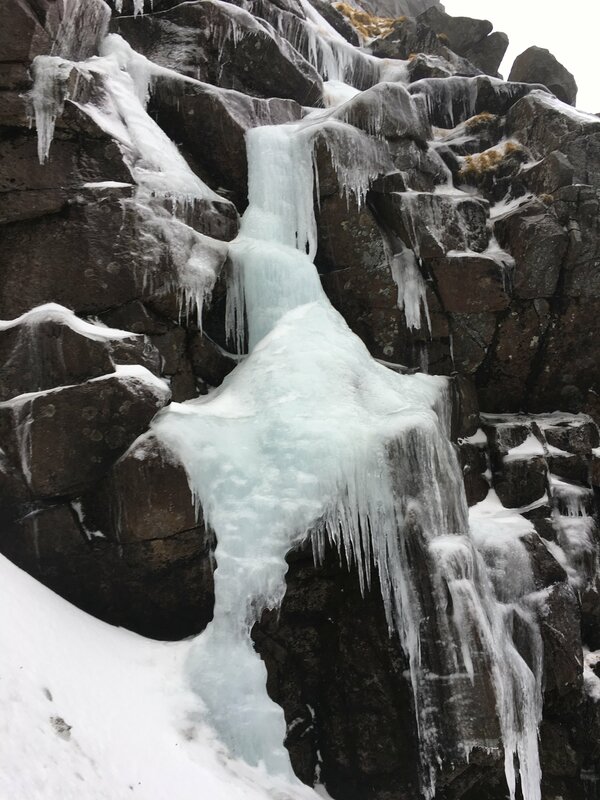 Snow on Storm Force winds at day break…. Easing a little to Severe Gale Force! 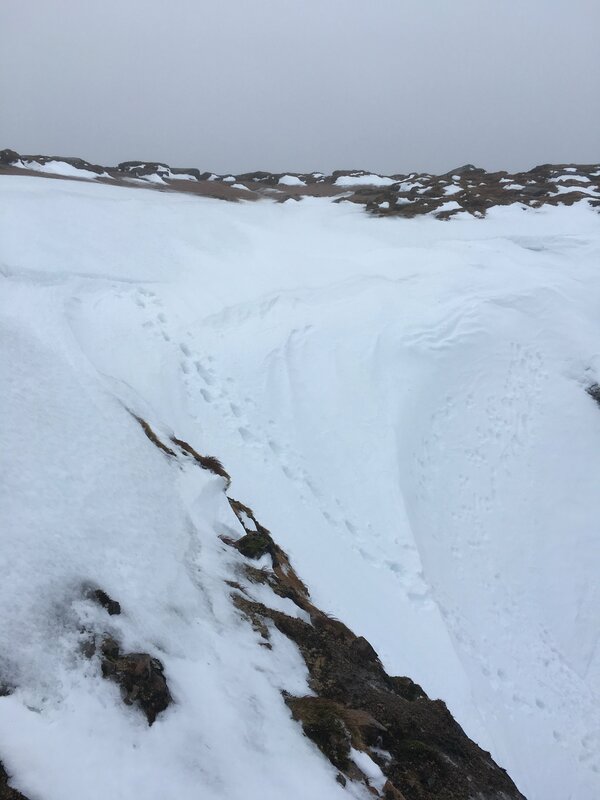 Expect extremely difficult mountain conditions if you are heading into the hills – Grab a recent weather forecast and plan accordingly. 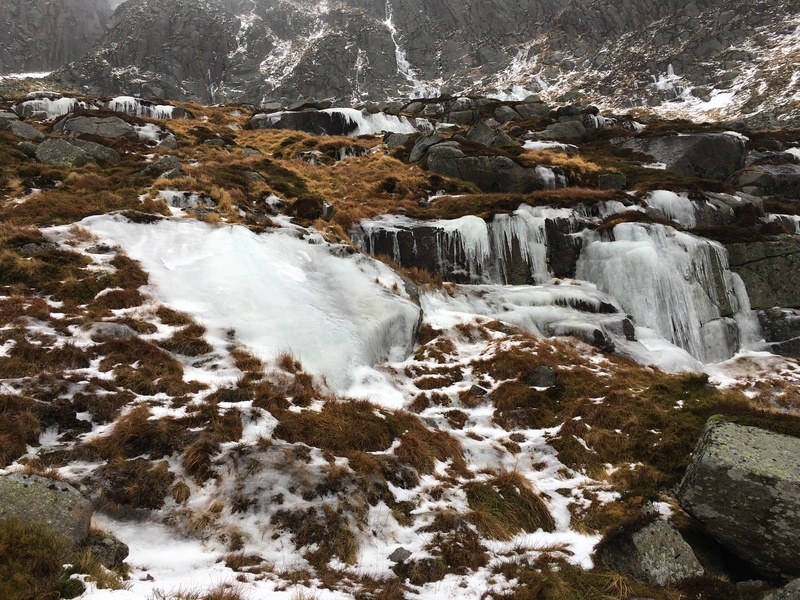 Slippy conditions underfoot with wet rocks, sloppy snow and thawing ice encountered. 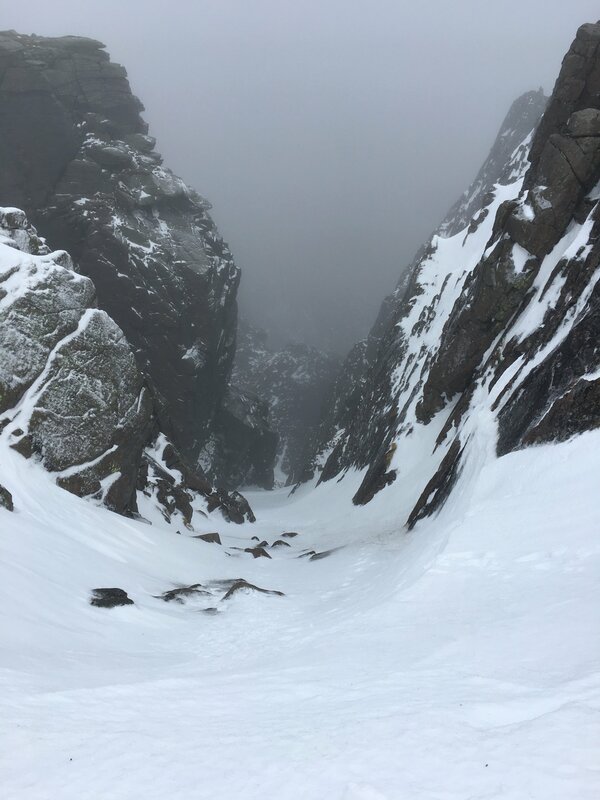 Snow conditions in the easy gullies, Lochnagar. Looking down Left Hand Branch Black Spout. A more straight forward exit on Left Hand Branch Black Spout than normal. This finish usually has a steep cornice.